Many people bring their own food at work. Some prefer salad in jars, others – a simple sandwich, but everyone needs a lunch. Are you looking for new and fresh ideas? 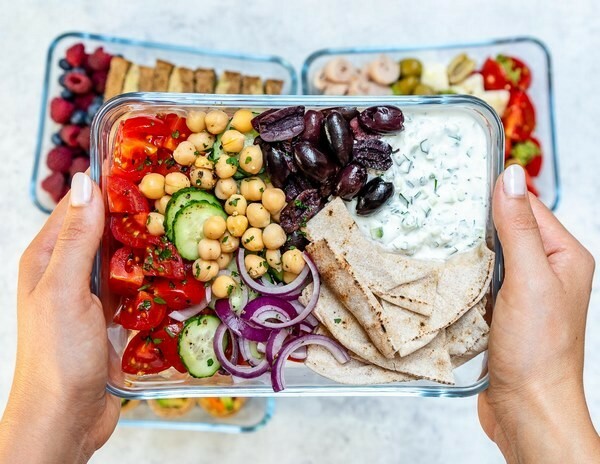 What to do when you want to have healthy food and in all the nearest stores and stalls you can only find chips, chocolate bars and pre-packed sandwiches? Well, bring food from home! 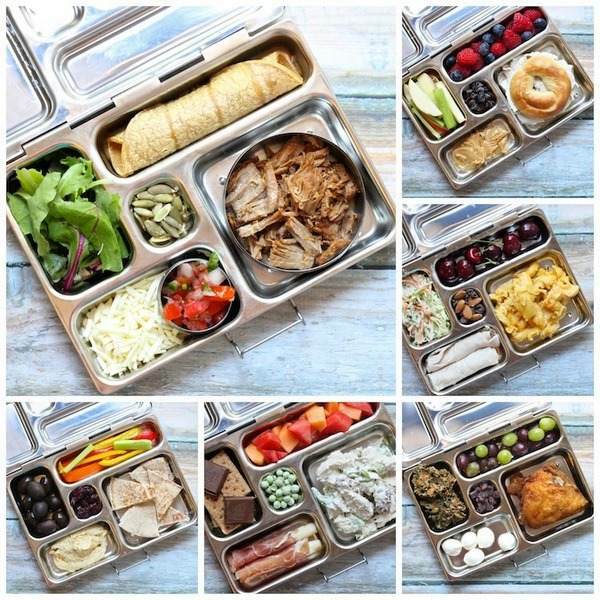 How about some great lunch box ideas? Even if you have the busiest schedule, you can find a few minutes to take a rest and have a delicious homemade lunch! 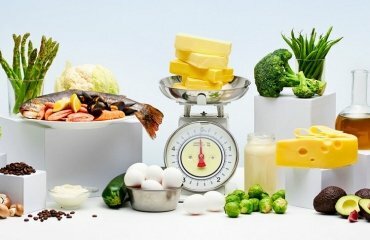 How to choose a truly high-quality food container? What to put in it? 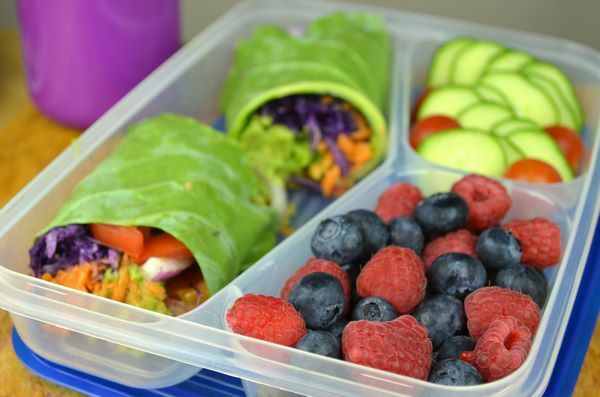 How to make office lunch healthier? 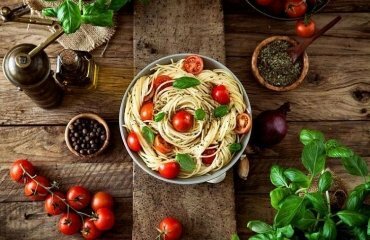 We shall give you the answers and of course, some recipes and ideas which you can use as inspiration. 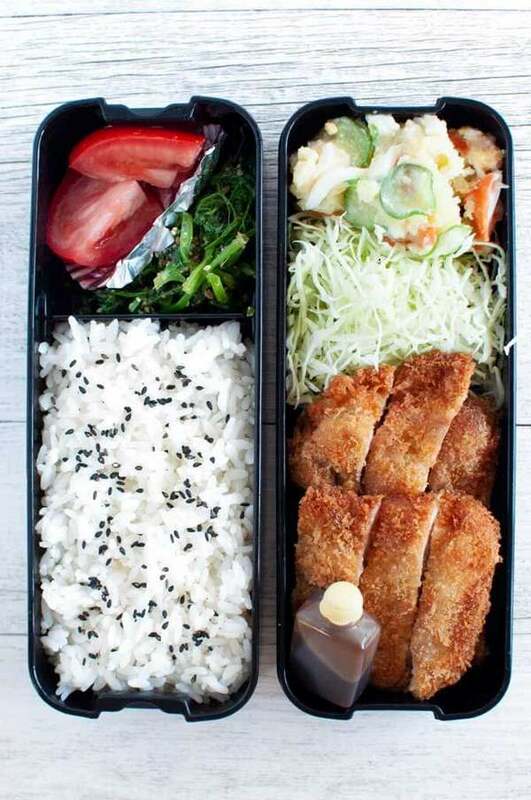 The idea of lunch boxes belongs to the Japanese. They began to carry breakfasts in lunch boxes with several sections to work, where they put a variety of products. 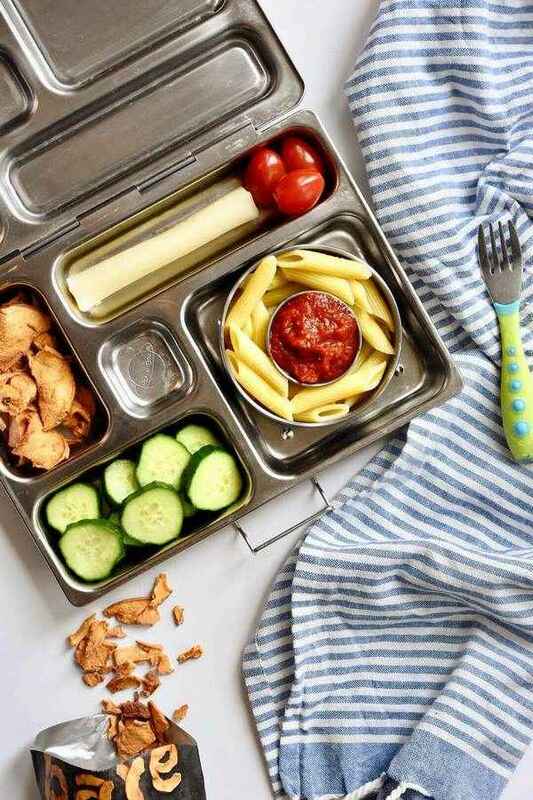 Bento boxes became hugely popular all over the world and nowadays there are thousands of ideas for lunch boxes for kids and adults. 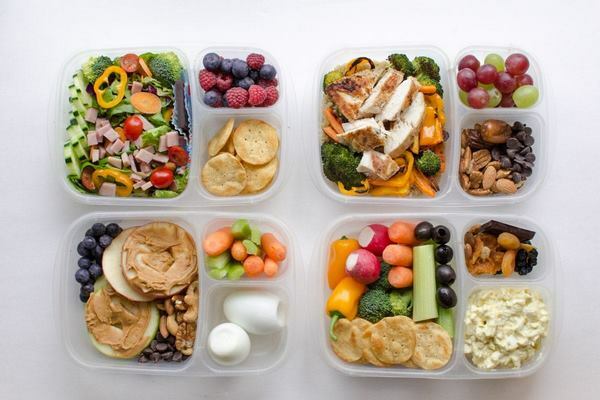 Why lunch box ideas are so popular and how to choose your food container? A box that closes tightly and has a handle to carry. It looks very attractive, as the design often resembles an old fashioned case. People who welcome style in everything can choose a model with an original color combination, an unusual shape and decoration. 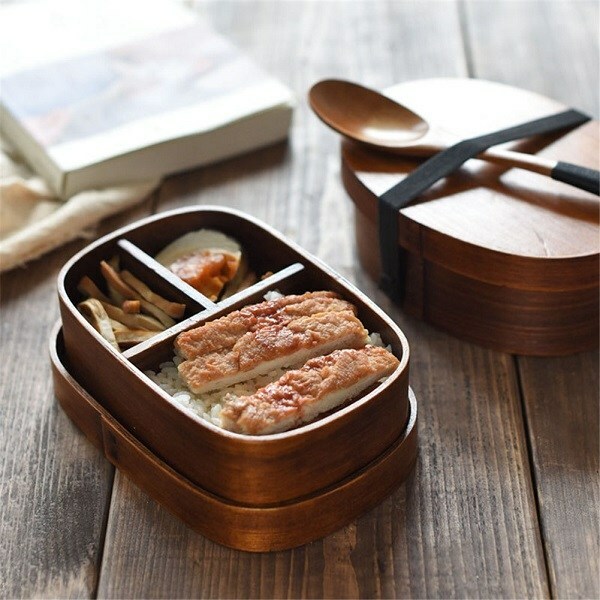 Functional boxes with small internal containers like sauce bowls, that are inserted into the main one, as well as cutlery from the same material. Cutlery may be attached to the lid or to the side. These models allow you to take with you absolutely any type of food and not worry about the fact that you have forgotten the fork or spoon. Creative models – those can be boxes for sushi with chopsticks and saucer or with original design with partitions and sections. Classic model lunch boxes, which have several partitions where you can add food or place additional containers. In addition to these, there are boxes that are intended only for dry foods like sandwiches, sweets, fruits. Some models are equipped with containers where you can pour soup. The huge variety of models and forms allows you to make food more aesthetic and enjoyable not only for yourself but also for your children. 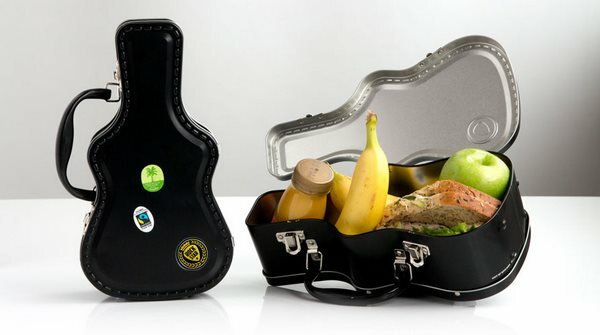 Lunch boxes with a handle are not a tribute to fashion, but a practical solution. The handle allows you to carry the box in your hand, as an additional stylish accessory. 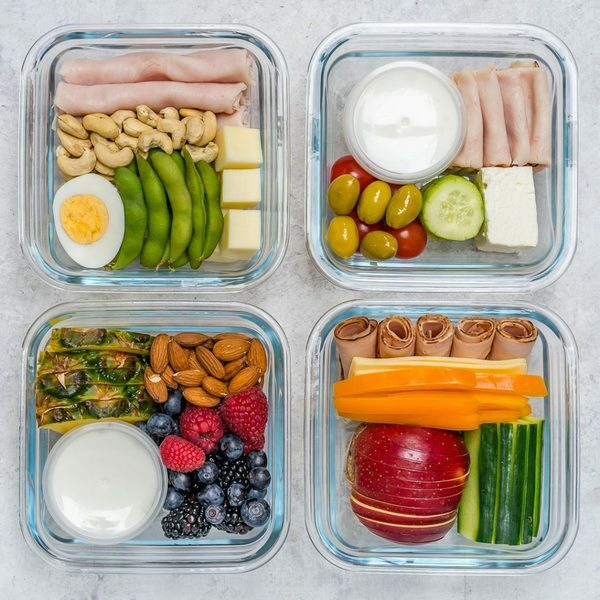 A lunch box is especially useful for schoolchildren, students and those who are attend courses, seminars, or conferences as well as people who are at work most of the day. This accessory allows you to eat on time and not just quickly cooked sandwiches, but healthy and varied food. 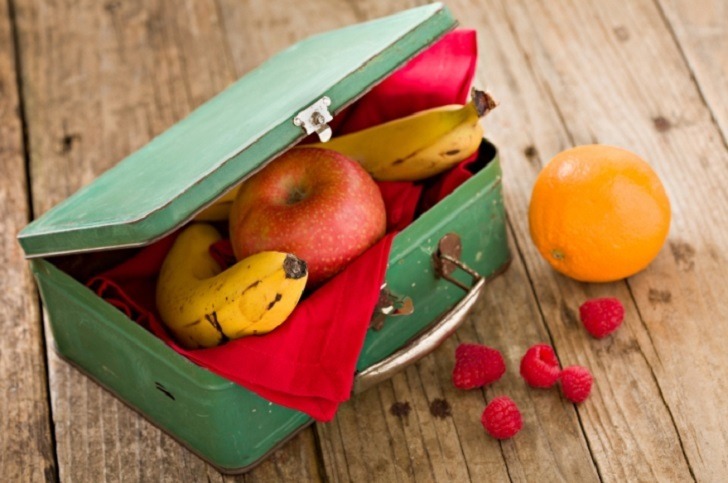 Of course, lunch boxes are exceptionally handy when you plan a picnic or a day out. Brands that offer low priced products often save on the quality of materials. Cheap materials may contain harmful resins or toxins which are potentially a hazard to human health. 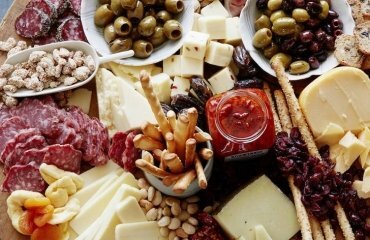 Keep in mind that food is in direct contact with the walls of the box, so yes – material matters greatly! It is better to invest in a high quality model from a reputable manufacturer which will bring only positive emotions, will be practical and harmless. Saving on your health or your children’s health may be quite costly. Keep in mind that a beautiful design does not guarantee the durability of the product. 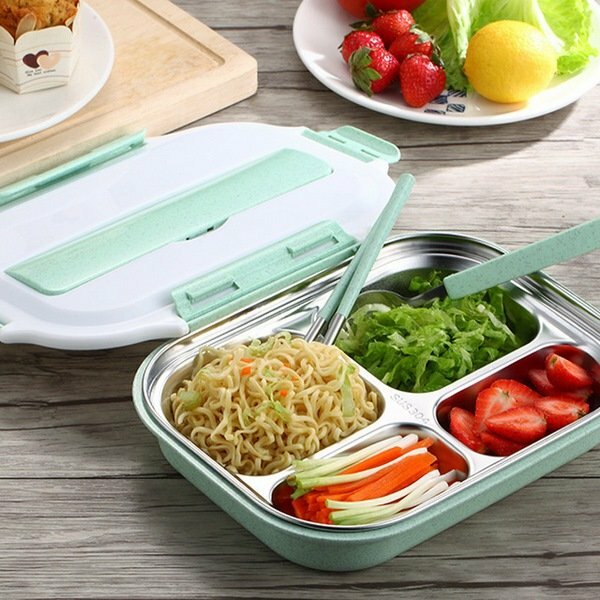 You may be attracted to a relatively cheap but very original looking lunch box. However, cheap models can break down over time, fade or lose their functionality. 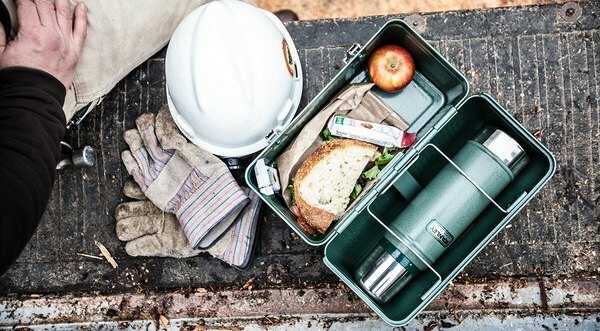 When you choose a lunch box, it has to meet your personal needs. Think of what foods and products there will be transported and stored. Carefully consider the size, shape, material and design. Carefully consider the number of compartments and additional removable containers. It is better to choose a couple of options so that you can change and combine them in accordance with the needs of the day. 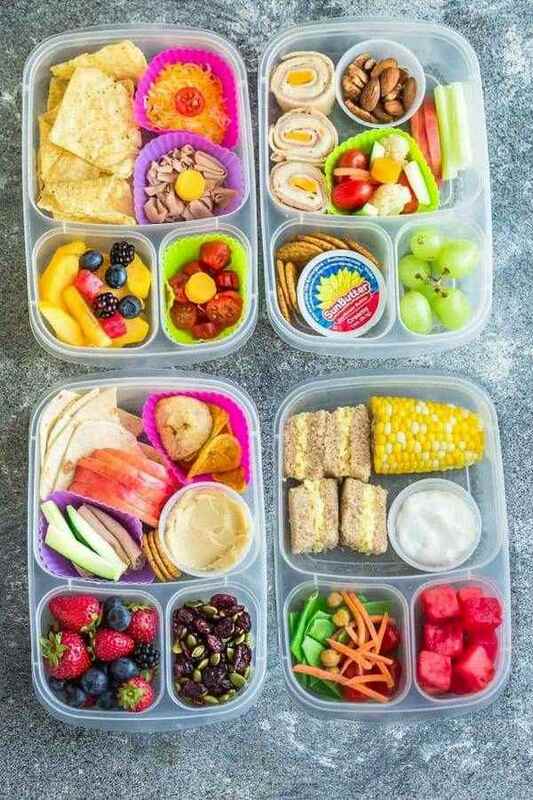 What to put in the lunch box? Well, you can put anything! 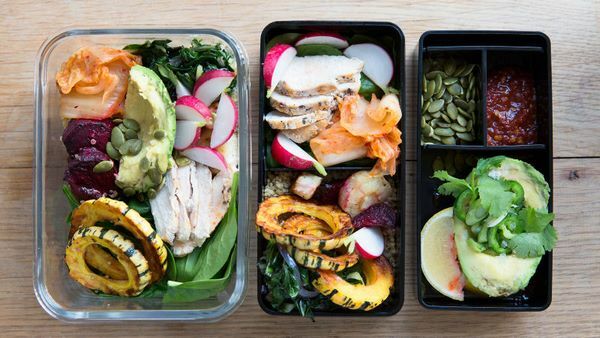 You can pre-cook your lunch at home, you can put any meat or vegetarian dish, but remember that the main idea of a lunch box is a beautifully designed healthy meal. 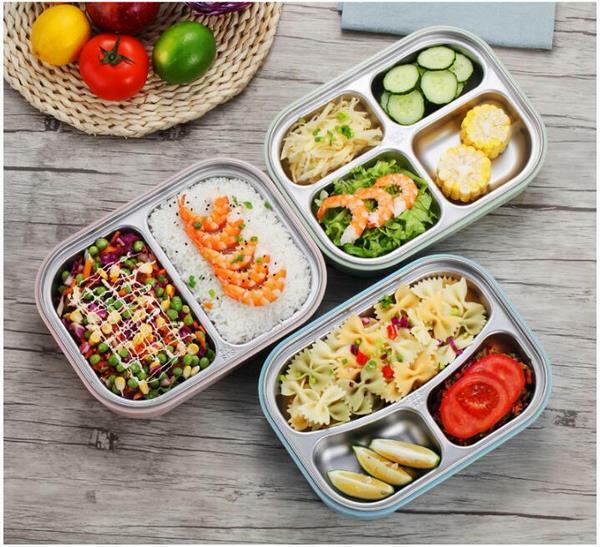 Rice, meat, fish, eggs, pasta, salads, pickled and fresh vegetables, fruits and bakery products – all of these have their place in your lunch box. 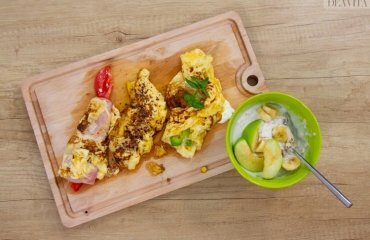 Here are some recipes for you! Place collard green leaf on a cutting board and spread guacamole over the leaf. Add the rest of the ingredients and carefully roll the collard green leaf. Cut in half and wrap in saran wrap if needed. Place tortillas on a cutting board and spread the hummus over them equally. Top with bell peppers, green onions, carrots, and avocado. 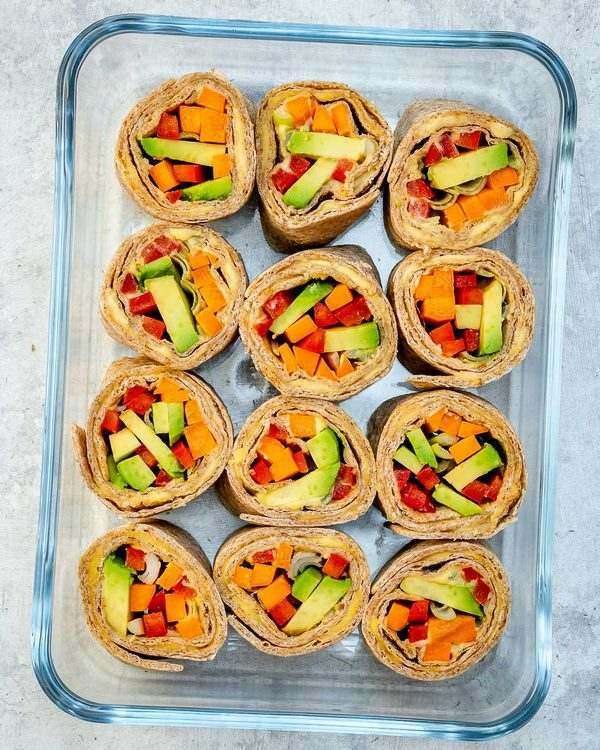 Roll the tortilla tightly around the vegetables and slice crosswise into 1.5-inch slices. Arrange the sushi into lunch box, cover and refrigerate for up to 1 day. Cook brown rice according to package directions. Add lime zest and salt to the cooking water. Cook turkey over medium heat. 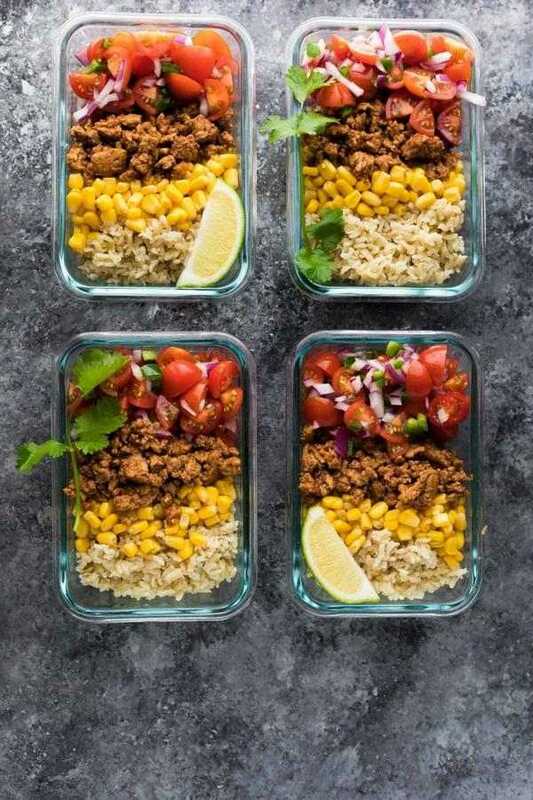 Season with the taco seasoning and breaking it up as you cook. 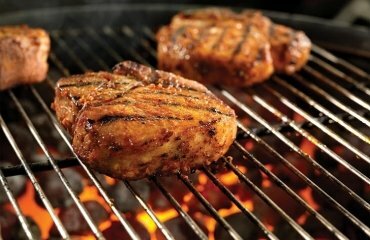 Cook for 10 minutes or until cooked through. Toast the bread if desired. Mash together chickpeas and avocado. Add the cilantro, green onion, tuna, lemon juice and zest, salt and pepper to taste, then stir until well combined. Spread about 1/3 cup of mixture onto each slice of toast, then cut in half. 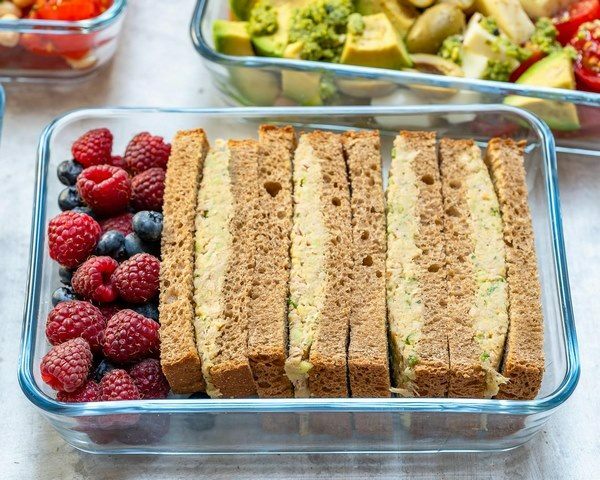 Arrange the sandwiches in the lunch box and add 1/2 cup berries in the remaining space. Add the Tzatziki sauce. 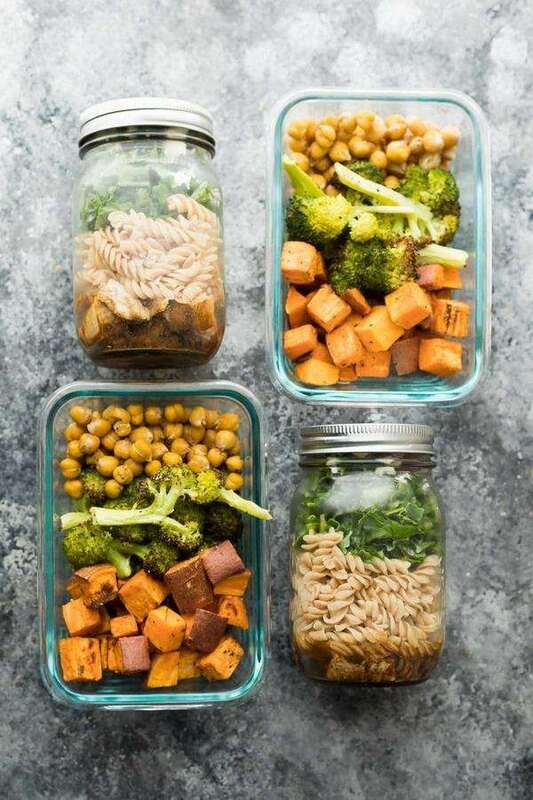 Use a separate container, if your lunch box is equipped with one of those. Divide the ingredients between two boxes. It is better to keep the pita bread separately or add it in the box just before you go so that it does not get soaked. Roll up together the turkey slices and cut them bite size. 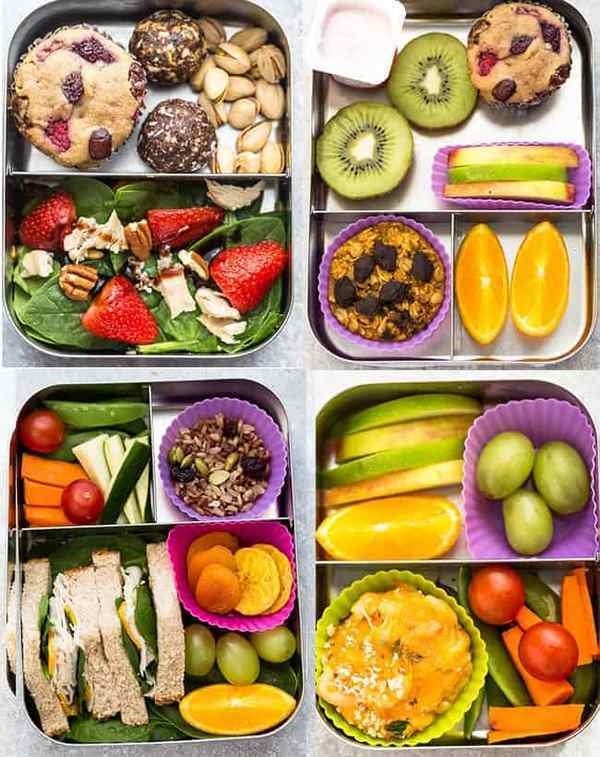 Divide all the ingredients in two lunchboxes. 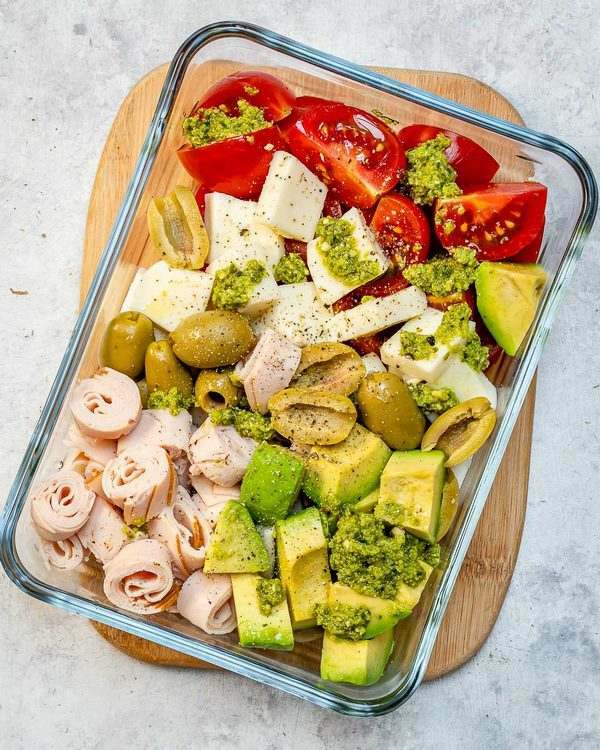 Drizzle with pesto sauce and season with salt and black pepper to taste.